SendinBlue , a leading email marketing and marketing automation software provider is delivering more than 30 million emails and text messages each day. To ensure their customers’ emails reach the inbox and that SendinBlue’s delivery system maintains the highest reputation, the company created a machine learning platform with Dataiku to automatically validate new customer applications using historical data from over 1 billion emails and associated events. The resulting system saves time and money for SendinBlue by automating checks that filter out potential spammers before they are allowed access to the SendinBlue platform. SendinBlue previously relied on manual validation of new customers, checking (among other things) the quality of their databases, but it was a painful and long process that required a large workforce. It also severely delayed account validation for customers which negatively affected SendinBlue’s reputation. Faced with a growing customer base, SendinBlue could not continue down the path of manual validation and scale up operations. To move away from manual validation and allow for rapid growth, SendinBlue turned to Dataiku Data Science Studio (DSS), leveraging their expertise in the area of automated fraud detection. With Dataiku, SendinBlue built a scalable solution using historical data coming from more than 1 billion emails and associated events (clicks, open rates, bounces, etc. ), thousands of blocked accounts, and hundreds of fraud criteria (IP addresses, history, behaviours, etc.). Once the new customers are classified, an algorithm determines the customer’s credibility by taking into account send volume, the scoring of the contacts, etc. Depending on the customer’s risk score, they may be blocked, validated, or sent to customer care for manual analysis. 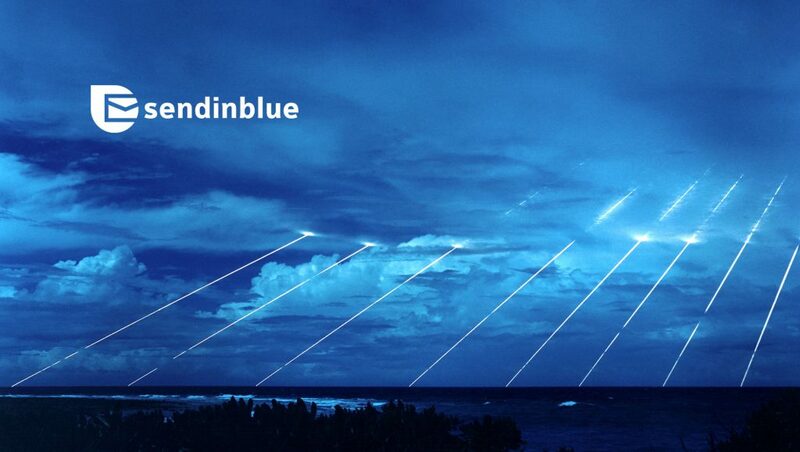 The resulting solution allows SendinBlue to scale, by reducing the turn around time for customer service. This analytics initiative saved the equivalent of a full time job and rationalized the global validation process, letting SendinBlue exponentially scale its team and customer growth. SendinBlue is also able to provide a better customer experience by considerably shortening validation delays. Initially handling just 24 percent of the new accounts as part of a staged rollout, the machine learning model now handles most of the new accounts. Dataiku also allowed SendinBlue to be more accurate in their validation, thereby increasing their email reputation; the first iteration of their model leverages Random Forest and has an 83 per cent precision rate on email address classification. The Dataiku DSS is an advanced analytics software solution that enables companies to build and deliver their own data products more efficiently. Thanks to a collaborative and team-based user interface for data scientists and analysts, a unified framework for both development and deployment of data projects, and immediate access to all the features and tools required to design data products from scratch, customers such as L’Oreal, Intermedix, and Hostelworld among others, can easily apply machine learning and data science techniques to all types, sizes, and formats of raw data to build and deploy predictive data flows. Currently, SendinBlue offers intuitive SaaS solution empowering B2B and B2C businesses, e-commerce sellers and agencies to build customer relationships through digital marketing campaigns, transactional messaging, and marketing automation. Founded in 2012, SendinBlue is a venture-backed startup dedicated to making the most effective marketing channels accessible to all businesses. Compared to other marketing solutions built for enterprise-level budgets and expertise, SendinBlue tailors its all-in-one suite to suit the marketing needs of growing SMBs.